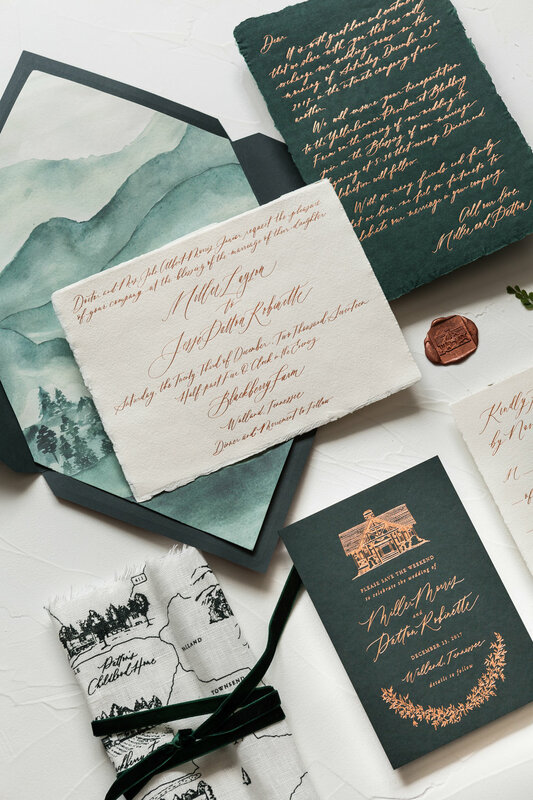 We love personal invites and this letter style suite in a wonderfully warm palette is one of our favourites. 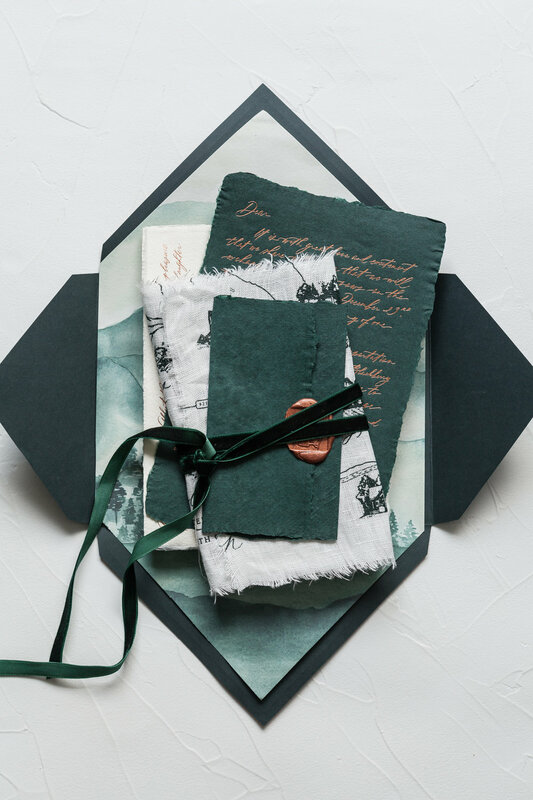 A forest inspired colour palette of deep green and copper, from the custom envelope and watercolour liner to the velvet ribbon and copper wax seal. Two different kinds of handmade paper, heavy cotton paper, and a linen printed map create rich texture, complementing the equally rich colours. The welcoming feel of this suite blended seamlessly with the wedding's warm and woodsy venue. The perfect inspiration for fall!